FREE Parking is available for this #CMCLE event! 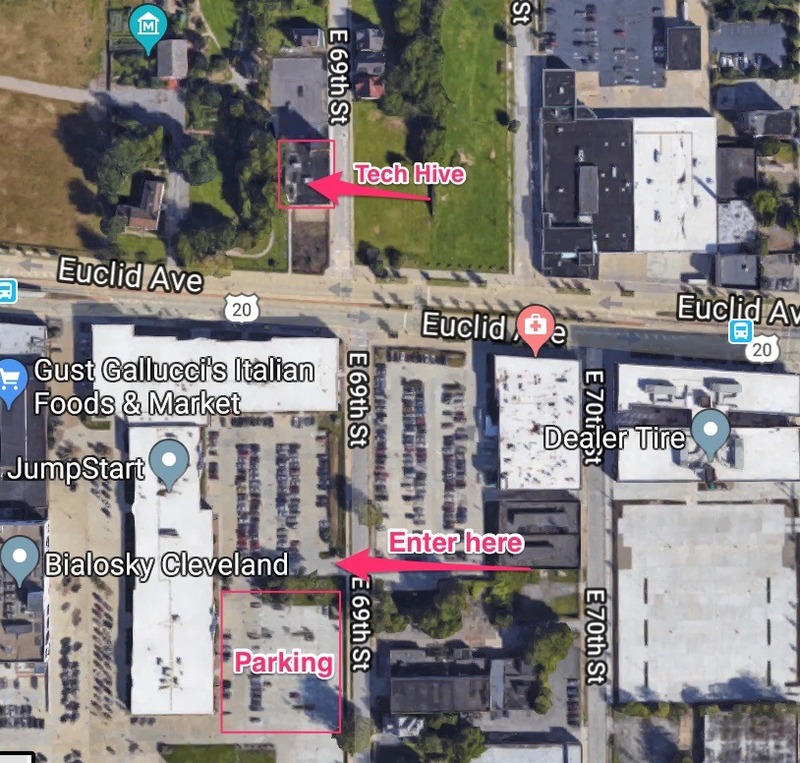 Please park at JUMPSTART’s Offices across the street from the tech hive: E 69th and Carnegie as shown on the map. Enter the Tech hive through the front entrance on Euclid Ave. THIS EVENT IS COMPLETELY SOLD OUT AND STANDING ROOM ONLY.